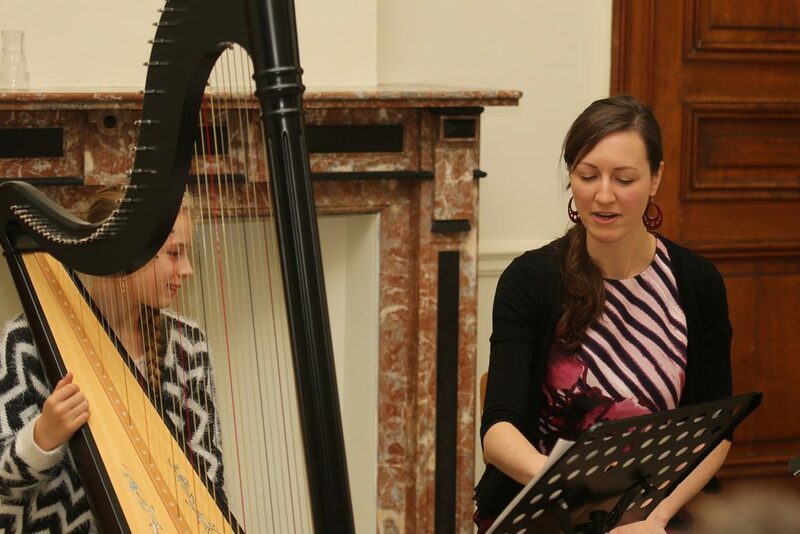 Would you like to be able to play such a beautiful and alluring instrument as the harp? Treat yourself (or your child) to a rewarding adventure. 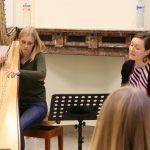 There are as many reasons to study the harp as there are harp students, from unlocking your musical creativity to experiencing the instrument’s therapeutic qualities. 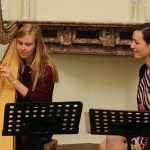 If you think you may be interested in taking harp lessons, come give it a try! Schedule a free sample lesson for the opportunity to meet Elizabeth, try out the harp, discuss your goals, and ask questions. Students of all ages and levels of ability are welcome. Students receive one hour of lesson time per week (half-hour lessons for children under 12), with flexible scheduling anytime between 9.00 and 18.00, Monday to Friday. Lessons take place either at Elizabeth’s home studio in Utrecht (Vogelenbuurt), or in the comfort of your own home (Utrecht only). The primary language of instruction is English, with the possibility of some Dutch. Les cours sont aussi disponible en français. A common question is How much do I need to practice? As with any instrument, the best way to make progress is to play your harp at home regularly. A teacher can provide valuable guidance, but it takes extra time outside of lessons for your fingers and your mind to learn a new skill. 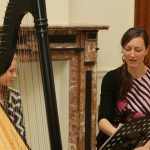 Depending on your goals, you should be prepared to devote anywhere between 20 mins to two hours per day to your harp practice, five to seven days per week. Elizabeth is also available to help guide practice sessions. This extra support between lessons helps students learn the most efficient ways to use practice time and prevents the formation of bad habits. If you don’t already have your own instrument, your first step before beginning your lessons will be finding a harp. Beginners (and especially children) may find it more practical to start with a smaller, lever harp. More advanced players who can handle a larger instrument may be interested in a pedal harp. Contact the following harp stores to find out what instruments they have to offer and to discuss the possibility of a rental arrangement. In addition to your harp, you will need the following extra materials. 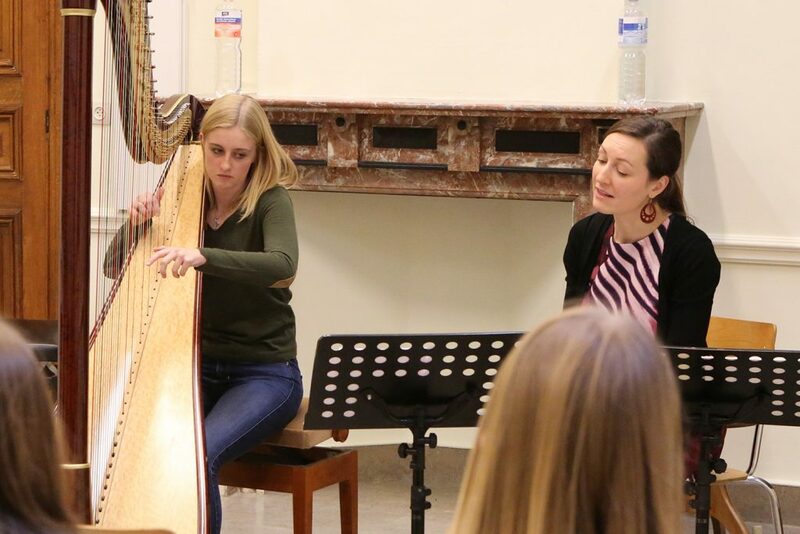 Elizabeth Jaxon holds a bachelor’s degree in harp performance from the University of Illinois College of Music, and a Diplôme supérieur de concertiste from the École Normale de Musique in Paris. Her teaching style draws from the excellent examples provided by her own teachers—Dr. 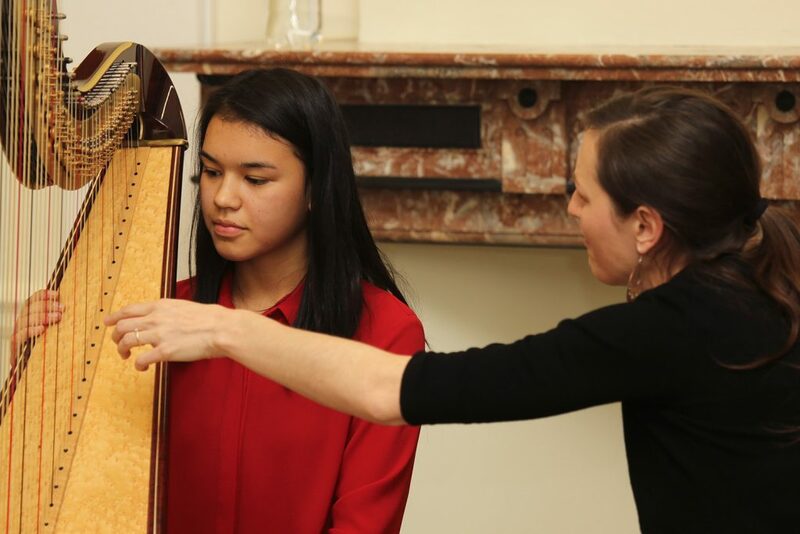 Ann Yeung (president of the American Harp Society and editor of the World Harp Congress Review) and Isabelle Perrin (harpist for the Orchestre National de France and artistic director of the World Harp Congress)—as well as her many years of experience. 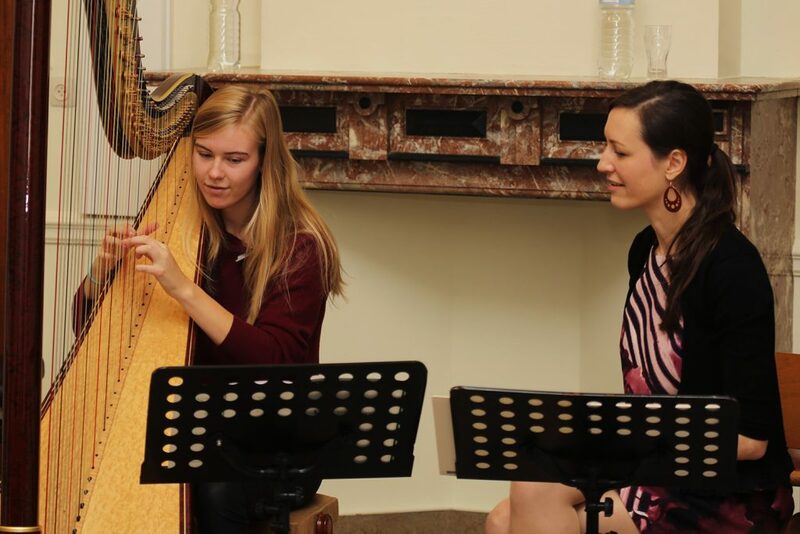 Elizabeth has been teaching harp since 2000. She attracted her first students in her hometown of Champaign, IL. 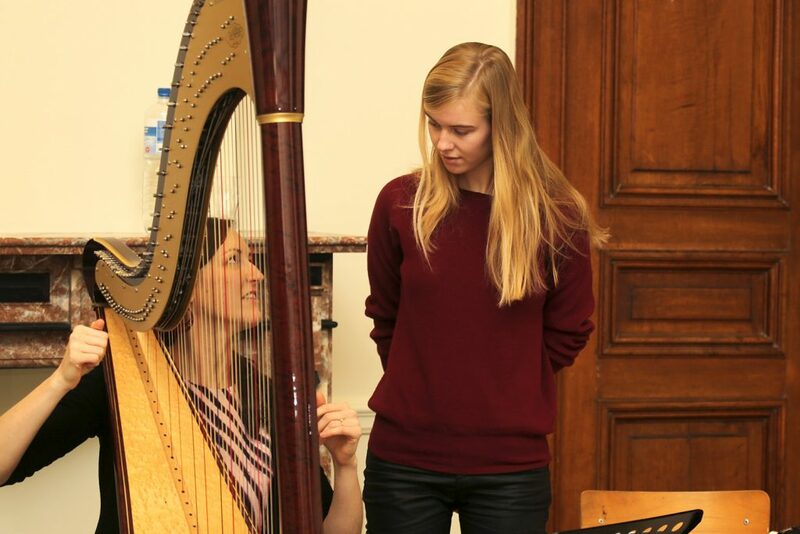 While she was living in Paris, she developed a private harp studio consisting of students of all ages. 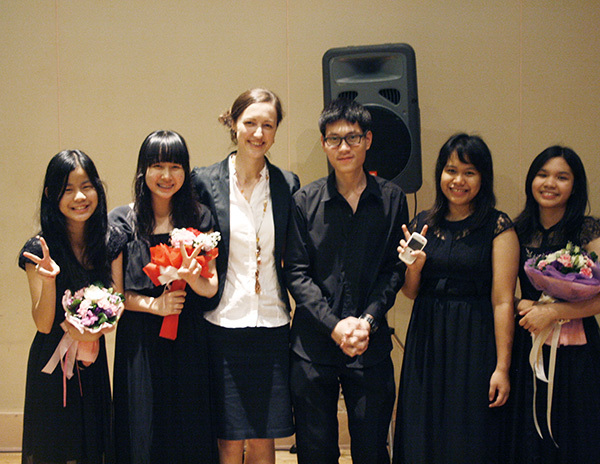 She was then invited to become a member of the faculty at the Mahidol University College of Music, in Thailand, where she served as instructor of harp and additionally as a string chamber music coach for students of pre-college, undergraduate, and graduate levels. 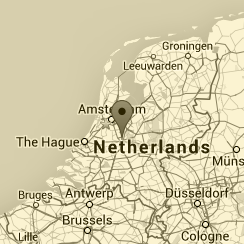 She is now based in Utrecht, the Netherlands. I have always found it enriching and rewarding to work with students. I am touched when someone shares my love of the harp enough to venture forth on the journey of learning how to play it themselves. I found that, in the course of my musical studies, I discovered many valuable lessons, not just about the harp and music, but also about myself and about the world. When I can guide people to make those discoveries for themselves, then it is one of the most satisfying feelings I know. Learning to play an instrument takes dedication and hard work from both teacher and student. I try to meet my students halfway in that process — I show the path, but I also encourage students to find things out for themselves. I believe anyone can learn, and why not? Playing the harp is fun, therapeutic, and is an endless source of beautiful music. 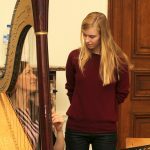 Elizabeth has produced a series of tutorial videos about various aspects of harp care, as a commission for the official website of Camac Harps.